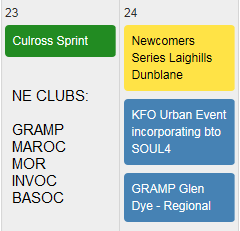 Full British membership of GRAMP also includes membership of the Scottish Orienteering Association (SOA) and British Orienteering (BOF) which gives you the right to compete in National Championships not to mention discounts at many national retailers and reduced event entry fees. Alternatively, you can join as a Scottish member which includes membership of GRAMP and SOA only and although this is cheaper – Junior Free, Senior £8.00 – it means you wouldn’t be competitive in British National Championships and some other major competitions. It’s aimed at those who enjoy orienteering locally with the advantage of reduced event entry fees for members and discounts at some retailers. You will need to create an SiEntries account first, then join GRAMP. For fuller details and comparison of the two options take a look at the SOA website membership page. Whichever option you choose, please also send an email telling us you’ve just joined and a few words about any previous O experience to Membership Secretary, Helen, using this form so we can start sending you information about events etc ASAP.